SPOTLIGHT ON BABS AND HER BROTHERS/THE SMOOTHIES... PART TWO! 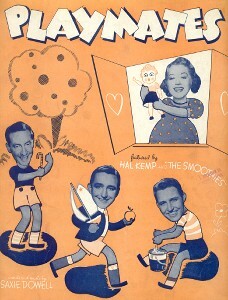 released in 1936 "Double Trouble"
released in 1935 "Let's Swing It"
Above: Cover of sheet music for "Playmates" featured by Hal Kemp And The Smoothies (originally known as Babs And Her Brothers). 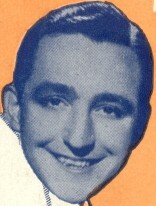 Hal Kemp was an orchestra leader. This song was a hit in 1940. The trio at this time was Arlene "Babs" Johnson, Charlie Ryan and Little Ryan. This line-up performed on the radio show "Time To Shine" with Hal Kemp. 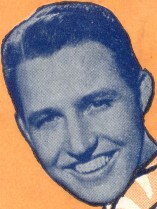 The first Smoothies, with "Babs" Ryan, had performed on radio with Fred Waring's Pennsylvanians Orchestra in the mid-1930's. NOTE: There were several different "Babs" over time. On Decca, she was Blanche Redwine (billed as "Babs Ryan"). Almost all of the Bluebird releases, including "Playmates," had Arlene Johnson. A final Bluebird session in 1940 had Rosalind Stuart. 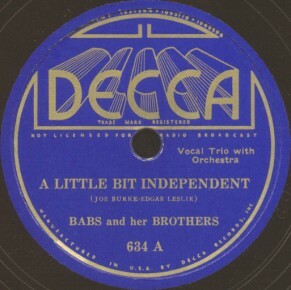 There were probably other later "Babs" as the group continued until at least 1947 (ref. Apollo 1015). 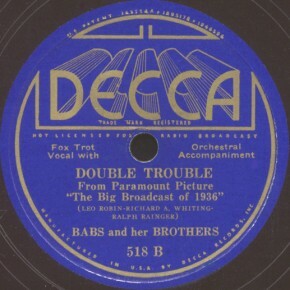 Above: Label images for (Left) Decca 634 A and (Right) Decca 518 B. A) Click on an option below to listen to Babs And Her Brothers/The Smoothies using Streaming RealAudio. 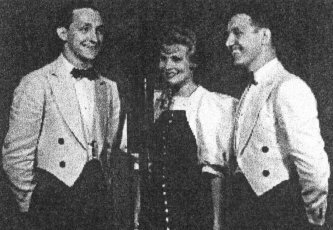 Above: (Left) Photo of Babs And Her Brothers. 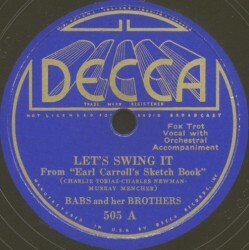 (Right) Label Image of Decca 505 A.
Click on an option below to listen to "Let's Swing It" by Babs And Her Brothers using RealPlayer. CLICK HERE FOR PART ONE OF "SPOTLIGHT ON BABS AND HER BROTHERS/THE SMOOTHIES".